The UFC Liverpool fight card is beginning to take shape and the latest fight added is a UFC women’s bantamweight fight. According to sources close to MMANytt.com, Lina Lansberg vs Gina Mazany is in the works for the fight card taking place at the Echo Arena on May 27. Lansberg (7-3) has gone 1-2 in the UFC since signing for the promotion back in 2016 and debuting against Cris Cyborg at UFC Fight Night 95. 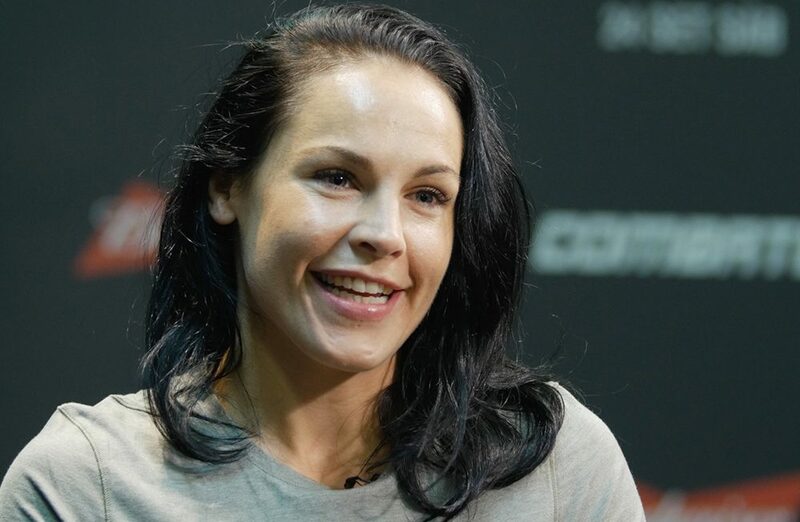 The Swede bounced back from that loss with a win over Lucie Pudilova at UFC London in 2017, but then went on to suffer a loss later in the year against Aspen Ladd at UFC Fight Night Gdansk in Poland. Lansberg will now look to get back to winning ways, but in her way will be Mazany who has made a good impression since joining the promotion. Mazany (5-1) made her UFC debut back at the TUF: Season 18 Finale against Julianna Pena where she lost via unanimous decision. Mazany then made her way back into the organization by defeating Katie Halley at Alaska FC 24 and went on to fight Sara McCann at UFC Fight Night 105 where she was defeat via submission in the first round. Mazany last fought at UFC Fight Night 122 in Shanghai, China where she defeated Yanan Wu via a unanimous decision.